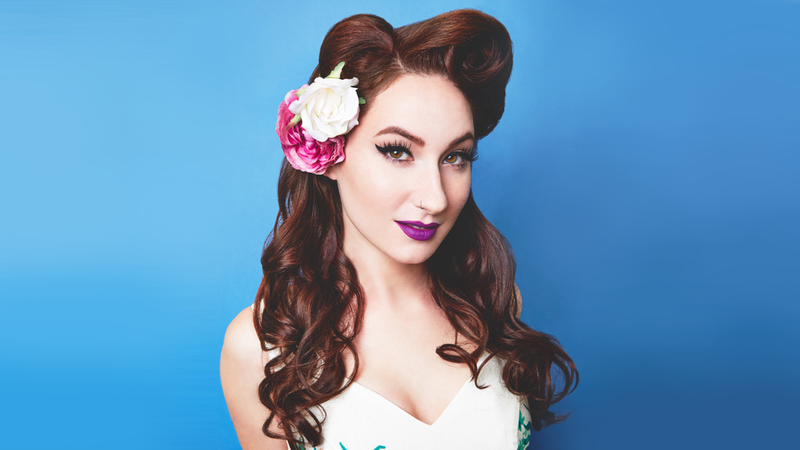 Robyn Adele Anderson is a jazz singer, actress, and pinup model. Her unique, jazzy and doo-wop arrangements of popular contemporary music have gained her global acclaim, The Daily Beast calling her “jaw-droppingly good,” and The Huffington Post raving about her “incredible vocals.” Across social media, this New York native has amassed over 250,000 followers and over 150 million views on YouTube after breakout performances with the musical collective, Postmodern Jukebox. Last seen at Feinstein’s/54 Below with The Skivvies, Robyn returns to share her own original arrangements, guest artists, and definitive retro style of singing back to New York City. Robyn will sing her own arrangements of contemporary favorites, including selections from Gorillaz, *NSYNC, Green Day, Nirvana, TLC, Justin Bieber, and Amy Winehouse.